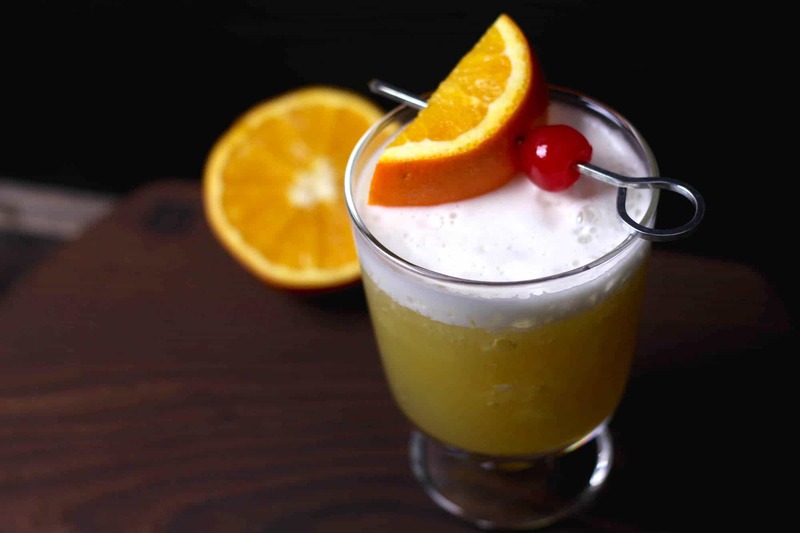 This delicious whiskey sour recipe goes down so easily! 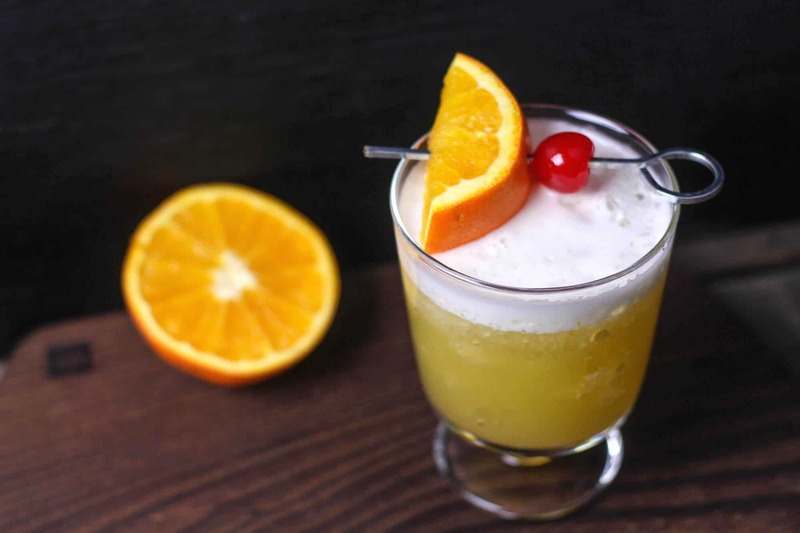 Flavored with orange juice and topped with whipped cream and a cherry, it’s a tasty cocktail treat. 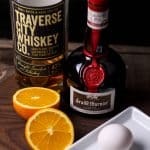 The classic whiskey sour recipe has egg white in it. Did you realize that? I didn’t until just recently. 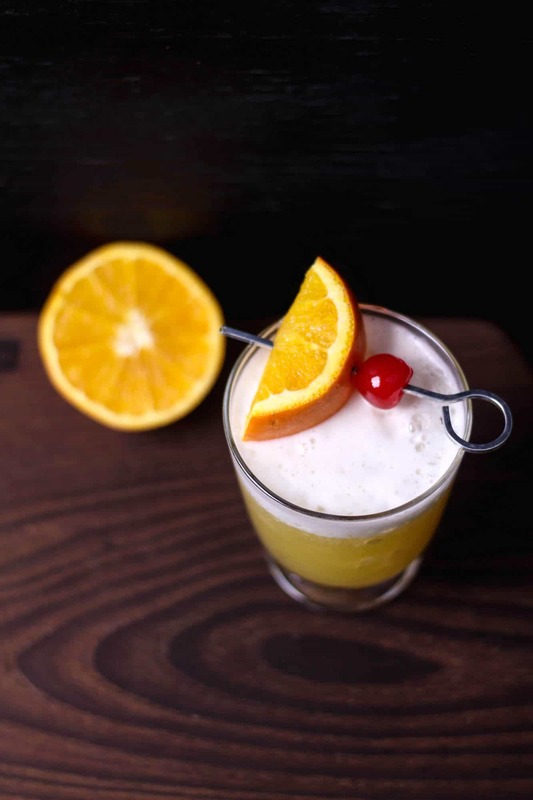 This particular orange whiskey sour is a twist on a classic, and something you might find in a speakeasy – you know, a little establishment that requires knocking on the door to get your dose of spirits. 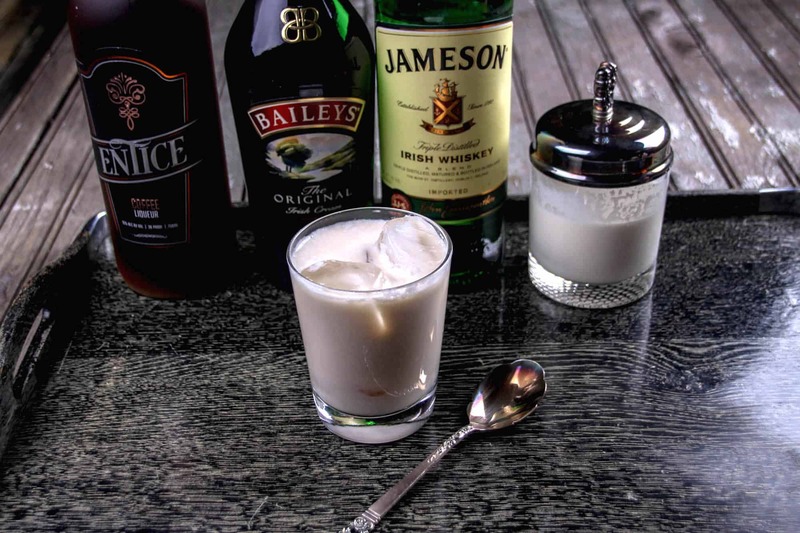 You can add the egg white to the beverage if you’re feeling a little rebellious or want to make sure you are being true to a classic. Even if you leave the egg white out of the drink, you should definitely not skimp on the egg white whipped cream – it’s quite delicious. 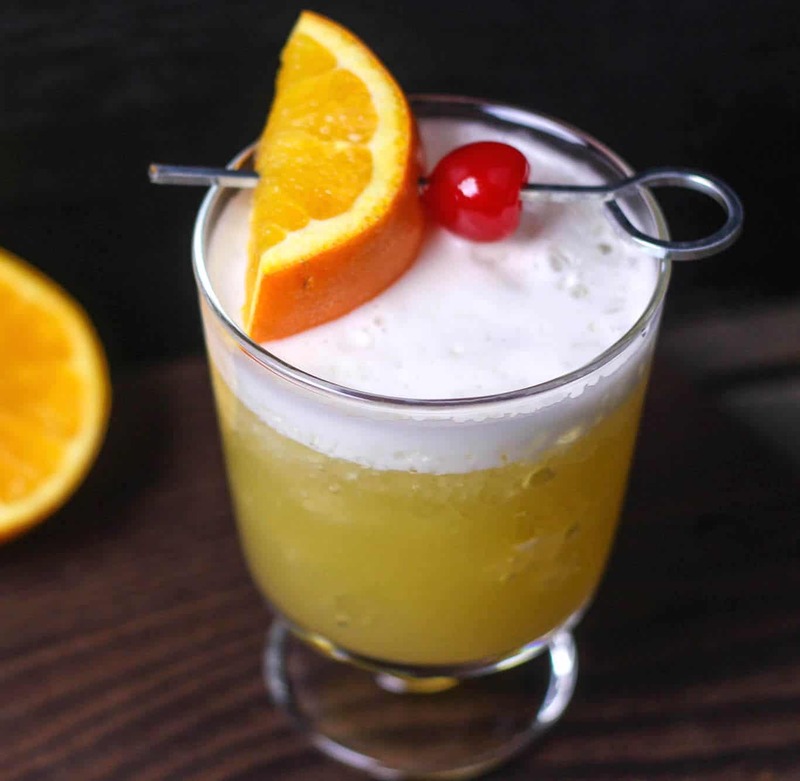 This whiskey sour recipe goes down just as easily as you would think. 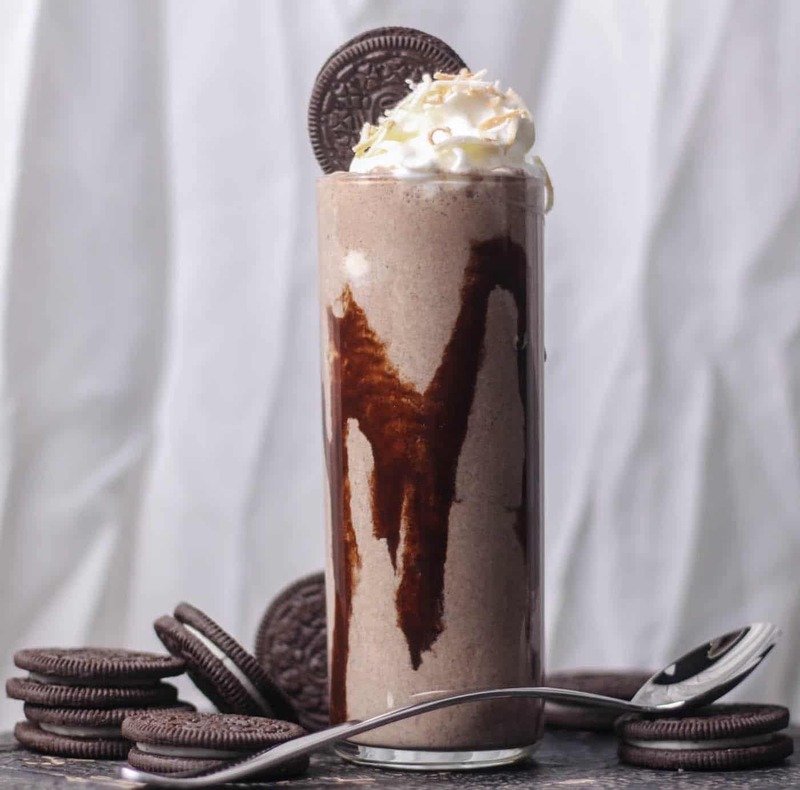 You’ll make one and then want to make it for all of your friends. It’s a great signature party beverage, too. 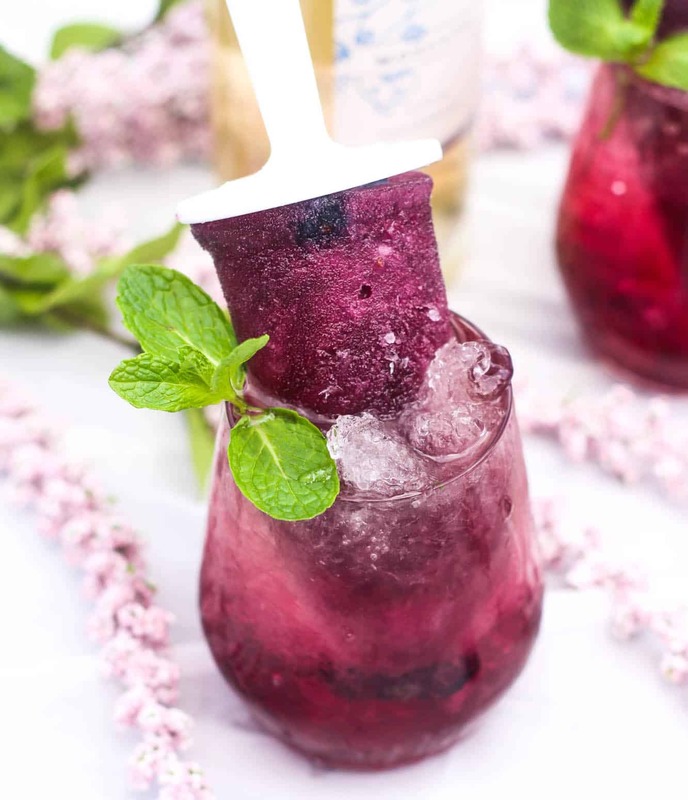 Get the yummy recipe below! 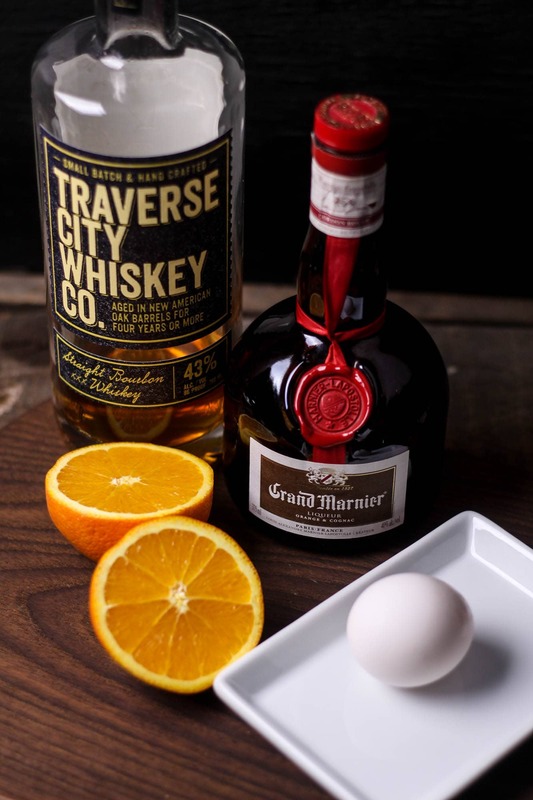 In a cocktail shaker add whiskey, orange liqueur, orange juice, a single egg white and an ice cube. Screw on the cocktail shaker top tightly and shake vigorously for 30 seconds. Strain into a whiskey glass filled with crushed ice. Top with egg white whipped cream. In a stand mixer fitted with the whisk attachment add egg whites and beat until peaks form. Add powdered sugar and vanilla extract, continue beating until stiff peaks form. Spoon into a bowl and place into the refrigerator to chill. 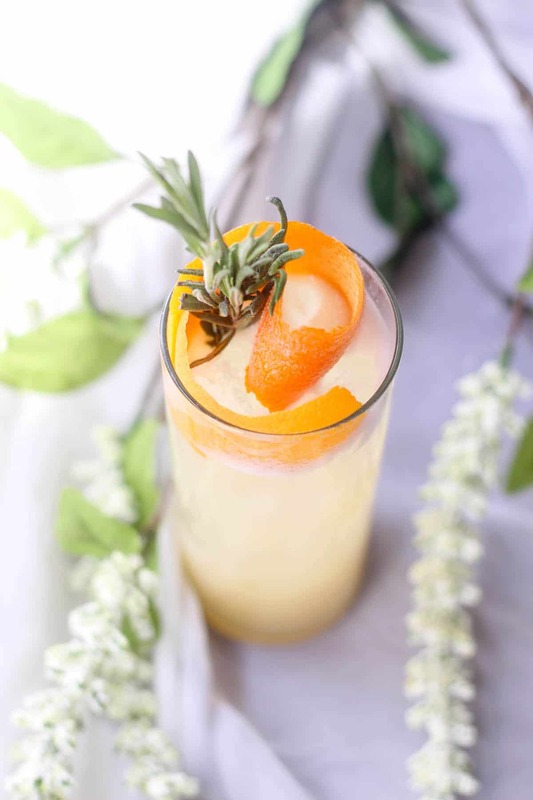 Garnish with a wedge of orange and a cherry. 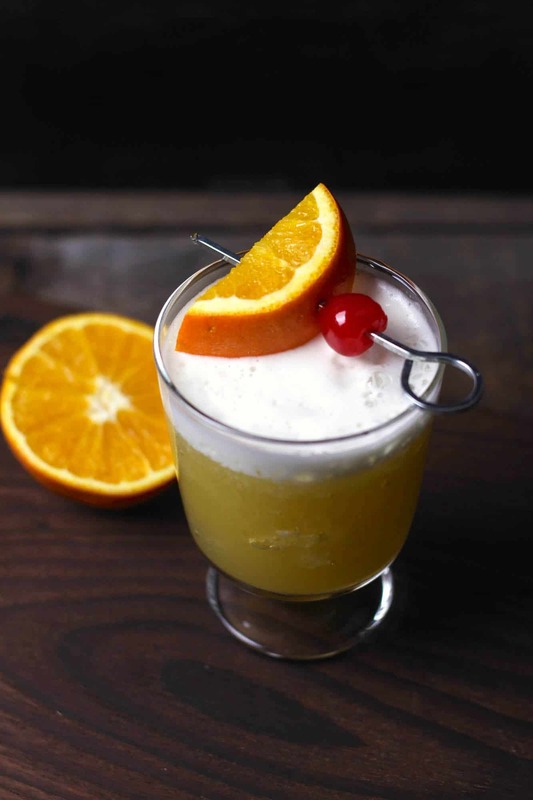 This delicious whiskey sour recipe goes down so easily! 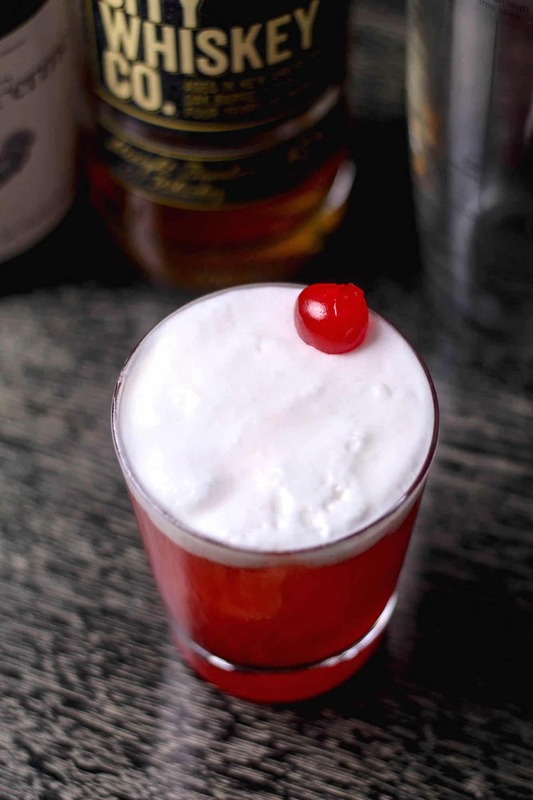 Flavored with orange juice and topped with whipped cream and a cherry, it's a tasty cocktail treat. In a stand mixer fitted with the whisk attachment, add egg whites and beat until peaks form. Nutrition information is calculated without the egg white cream as it is optional.